A group of trailblazing ‘Accountable Care Systems’ has been announced in England, tasked with taking integration of health and social care to the next level. Once again, pharma companies will have to understand and align themselves with this new agenda wherever possible. This year has seen Sustainability and Transformation Plans (STPs) emerge as the latest big idea aimed at keeping the NHS in England sustainable for the future, and able to meet the growing and increasingly complex demands of an ageing population. The NHS and local councils have formed partnerships in 44 areas covering all of England, and ‘integrated care’ is at the core of the concept: each STP is building plans around the needs of the whole population in the area, breaking down long-standing barriers between primary and secondary healthcare and social care. This concept stems from the Five Year Forward View masterminded by Simon Stevens, NHS England’s chief executive. He says he wants to see an end the “fractured” health and social care system, which is built around the needs of individual organisations rather than patients. However, while the STP model is undoubtedly founded on the idea of putting patient needs first, it also represents a hope that by integrating care, the NHS and social care can keep a lid on the ever-growing cost of care. While there is lots of evidence from other ‘new models of care’, via NHS Vanguards, that big improvements can be made to patient care, the potential for long-term savings hasn’t yet been proven. But now that the STPs are beginning to gather momentum, Stevens has just unveiled the next generation of integrated care models – Accountable Care Systems (ACS). He revealed that nine areas in England have been chosen to spearhead the next stage of evolution. Eight of these nine areas will form ACSs, and will bring together local NHS organisations, in partnership with social care services and the voluntary sector. NHS England wants them to build on early results from the Vanguards, with some of these pilots already slowing emergency hospitalisation growth by up to two thirds, compared with other less integrated parts of the country. This first group of designated ACSs has agreed with national leaders to deliver fast-track improvements set out in Next Steps on the Five Year Forward View, including relieving pressure on A&E departments, investing in general practice to expand access to GPs, and improving access to high quality cancer and mental health services. These areas will be given extra funds to lead service transformation programmes, and will have combined indicative potential to control around £450 million of funding over the next four years. The most advanced model for this vision so far is Greater Manchester, which launched its integrated funding structure, colloquially known as ‘Devo Manc’ on 1 April this year. West, North and East Cumbria and Northumberland could also join this advance party of ACSs later in the year. 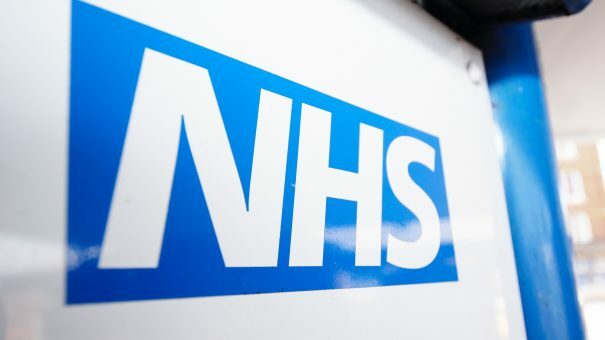 NHS England says each ACS will gain extra autonomy over budgets and decision making, but will still be held to account by NHS England for improving the health and wellbeing of the populations it covers. While greater integration of services is undoubtedly needed across the country, it will also mean the closure of hospital departments and de-funding of services in some places. This is the dreaded ‘reconfiguration’ which is always met with vehement opposition from local people, afraid that they will have to travel much farther for A&E, maternity or other services. STPs have generally flown under the public and media radar until recently, but opposition is already growing in some areas where reconfiguration has been proposed. For pharma, reorganisations and devolutions of power always complicate the picture, making identification of the true ‘customer’ or decision maker more difficult. There was some concern that Devo Manc would allow the area to ignore national guidelines such as NICE. These worries have receded somewhat, though Greater Manchester does have a newly powerful medicines management committee, the GMMMG. Most notable among the new ACSs is Surrey Heartlands, which will take on a similar devolved budget to the one in Greater Manchester. This agreement brings together the NHS locally with Surrey County Council to integrate health and social care services and give local leaders and clinicians more control over services and funding. For the pharmaceutical industry, the era of STPs, and now the arrival of ACSs is a major new change in the landscape for it to understand and adapt to. There are also many other developments which the industry needs to grasp – the introduction of the new ‘Budget Impact Test’ at NICE, new Regional Medicines Optimisation Committees, and, of course, the huge question of Brexit. Nevertheless, this structural change in NHS decision making will be a major driver for change in the health service for years to come. Richard Murray, director of policy at health think tank The King’s Fund says pharma needs to spend time on understanding this complex, emerging picture. On the question of STPs, he says: “The picture across the country is very varied. There are some areas where the STPs are quite advanced, and others which are very nascent, and it’s not clear if they would be able to deliver on that plan. Murray says the devolution will certainly remain tightly controlled by NHS England, which will hold on to issues such as national pricing. Indeed it has just taken on the commercial division which engages directly with pharma, a move he says is ‘very significant’ for pharma’s conversations around price and access. He says all this change makes for “a slightly tricky job” for pharma, but believes it must engage proactively and keep the conversations moving forward. “Pharma needs to really work with NHS England on novel funding mechanisms and contracting routes. If it stays positive in that conversation, there is a possibility that both sides can benefit. He says creating more options for NHS England will allow companies to get market access for the “lots and lots of new drugs” coming through the sector’s pipelines. Murray was closely involved in the Accelerated Access Review, completed last year, and says this found plenty of novel approaches being pioneered in France, Italy and Spain that could be replicated in England. There are, of course, plenty of reasons to be sceptical about the chances of ACSs being able to affect a really substantial change in health and social care. First, there is fundamental growing gap between NHS funding and demand. Critics inside the health service and outside think merging budgets via STPs and ACSs will simply mask underfunding across health and social care. And those hoped-for major savings may never emerge from this model, opening up the possibility for further reorganisation if and when a new government takes power. But, despite all these realistic concerns, pharma needs to move with the agenda. Companies which develop a sound understanding of the direction of travel in the NHS, and put together convincing arguments for the value of their products, will be able to make a major contribution. Richard Murray will be speaking at the Wilmington and pharmaphorum conference – A Strategic Partnership- what role for pharma in a changing NHS? on 18 July.